Following in the footsteps of the Cybermen from Doctor Who, Ash from Alien and the T-800 from Terminator, Crank Tech One is on the loose and causing chaos. Released on Thursday 30 October, Crank Tech One: Destruction, the audiobook produced by In Ear Entertainment, follows the story of science fiction author Tim Bailey as a robot model he plans to use for publicity comes to life and heads towards Cardiff leaving chaos in its wake. Named Crank Tech One after the robot in Tim’s novel, Crank is chased by police, scientists, thugs and goths. All of a sudden, Tim becomes the only person who might be able to figure out Crank’s mission and stop him. 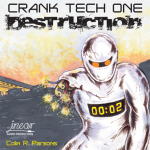 Crank Tech One: Destruction was written by Welsh author Colin R Parsons and is narrated by voice actor, musician and comic writer/artist Dave Bulmer. It has been published by In Ear Entertainment, a UK audiobook publishing company specialising in horror and science fiction. 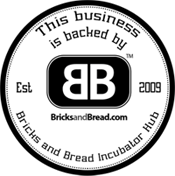 Buy ‘Crank Teck One: Destruction’ here. The audiobook is available from the In Ear Entertainment website and from Audible, Amazon, iTunes and through BardOwl shortly after.